As always, you can order online during the holiday hours, but please note that any orders placed online will not ship until the next available business day. The holidays are peak season for UPS, which can mean extended lead times for ground shipping. You can find the UPS year-end shipping schedule HERE. 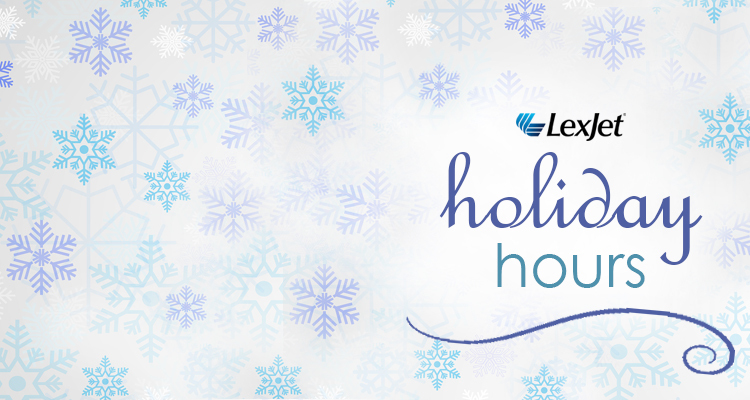 If you have any questions, please call us at 800-453-9538 or visit us online at LexJet.com.